Walter Sidney Pascoe was born at Chatswood on 25 August 1917, the son of Clifford and Catherine Pascoe. Walter Sidney Pascoe enlisted in the Australian Army on 12 August 1942 at Port Kembla, NSW. He served with the 1st Australian Ordnance Port Detachment and was discharged as Captain on 1 November 1945. Walter Pascoe was Alderman for Macquarie Ward, 18 September 1971 to 16 September 1977. 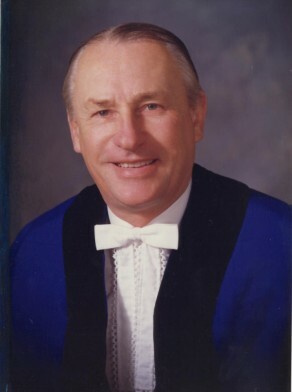 Pascoe was Chairman and member of the Community Services Committee, 1974–75, a member of the Works Committee and the City Development Committee, 1972–74 and the Finance Committee, 1975–77. He also served as a member of the Parking Advisory Committee, 1973–77. In 1975, he was Council’s representative on the Local Government Liaison Committee established by the Health Commission of NSW and a member of the Local Government Boundaries Commission in 1976. He also represented Council on the Sydney Airport Noise Abatement Committee in 1976. He was a member of the Civic Reform Association.